Early voting for the 2018 primary elections has begun. 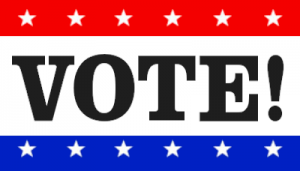 Through March 2, Caldwell County voters can vote at the Scott Annex Building at 1403 Blackjack St. in Lockhart or at Luling Civic Center at 333 E. Austin Street in Luling. Those who vote at the Scott Annex Building may do so between 8 a.m.-5 p.m. through Friday this week; from 8 a.m.- 7 p.m. Saturday; from 10 a.m.-3 p.m. Sunday; and from 7 a.m.-7 p.m. Feb. 26-March 2. At the Luling Civic Center, early voters may cast their ballot 8 a.m.-5 p.m. through Friday of this week. The Civic Center will be closed Saturday and Sunday for a special event before reopening to voters from 7 a.m.-7 p.m. Feb. 26-March 2. Ballots by mail are accepted through Friday. To view a sample ballot for your area, visit http://www.co.caldwell.tx.us/default.aspx?Caldwell_County/ElectionsOffice. Republican candidates in the race who filed before the Dec. 11 deadline include Lockhart residents Hoppy Haden, Deward Cummings, incumbent Judge Ken Schawe and Luling resident Johnny Lee Spriggs. The two candidates Democrat voters will consider in the primary include Lockhart residents Alfredo Munoz and Anna M. Prusaitis Ybarra. The race for the unexpired Precinct 1 commissioner term, which is up for election after Haden stepped down to run for county judge, now has six candidates. 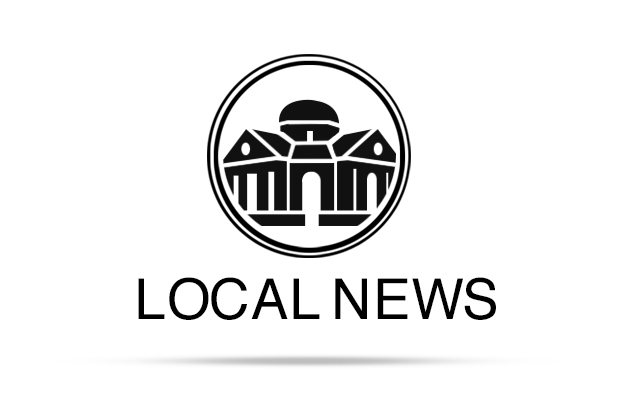 Running in the Republican primary against Terry Wright, whom Schawe appointed to serve as interim Precinct 1 commissioner through Dec. 31, 2018, are BJ Westmoreland of Lockhart, Chayo Rosario Rodriguez of Maxwell, and Lucy Knight of Lockhart. Ida Reyna-Magallanez of Lockhart will challenge Thom Hanson of Lockhart for the Democratic nomination. Incumbent Pct. 2 Commissioner Eddie Moses (D-Lockhart) will be unopposed in the primary, but will face opposition by Fred Buchholtz (R-Luling) in the general election. In Pct. 4, Jerry West was the sole Republican to file for the primary. He will face incumbent Joe Roland (D-Lockhart) in the general election. Democrats Barbara L. Molina and Reagan “Trey” Hicks are on the ballot for Caldwell County Court at Law Judge. The position will be vacated by longtime Judge Ed Jarrett, who announced his intention to retire earlier this year. Democrats Amanda Meyers and Sandy Riojas, both of Lockhart, will face off for their party’s nomination for district clerk. The winner will face incumbent Tina Morgan Freeman (R-Lockhart) in the general election. The Democratic Party’s Teresa Rodriguez is running unopposed for county clerk in the primary. The Republican Primary will not field a candidate on the primary ballot. Incumbent Republican Justice of the Peace for Pct. 1 Matt Keily is running unopposed in the primary. Aurora “Rhoda” Chavira of Lockhart will claim the Democratic nomination in that race. Succeeding retiring Pct. 2 Justice of the Peace Homer Horne will be either Democrat Joe Tetley and Republican Shanna Conley, barring any write-ins or independent candidates. Neither will be contested in the primaries. Challenging incumbent Ben E. Brady for JP-3 in the primary will be Martindale resident Lisa Shell Allen. Anita Deleon, also of Martindale, is unopposed on the Democratic ticket. JP-4 will be decided in the November general election. Dale resident Beverly West will run on the Republican ticket against incumbent Raymond Deleon (D-Lockhart). At the Federal level, a bevy of challengers will vie to replace District 27 US. Rep. Blake Farenthold in the Republican primary after the embattled congressman indicated he wouldn’t run again. They are Bech Bruun of Corpus Christi, Chistopher Mapp of Port O’Connor, Eddie Gassman of Corpus Christi, Jerry Hall of Corpus Christi and Michael Hall of Corpus Christi. Running for the Democratic nomination are Eric Holguin of Corpus Christi, Raul (Roy) Barrera of Corpus Christi, Ronnie McDonald of Bastrop and Vanessa Edwards Foster of Houston. Incumbent District 35 Congressman Lloyd Doggett (D-Austin) will seek another term in office, having served Central Texas in the U.S. House of Representatives since 1995. He will face David Smalling (R-Maxwell) in the general election. Incumbent State Representative John Cyrier (R-Lockhart) does not face a challenge in the Primary as he seeks a third term as the State Representative for District 17, having originally earned the position during a 2015 special election. Bastrop Democrat Michelle Ryan is uncontested on her party’s ballot to face Cyrier in the November general election. Longtime 207th Judicial District Judge Jack Robison will seek another term on the bench. He is unopposed on the primary ballot.